The only method I know of is a brute force attack i. Thankfully, we do not have to try brute force, because we can try other means. And You will be able to unprotected excel sheet. If you happen to meet the problem of Excel unsaved, here is the online help on you can ask for. On any Windows folder click. Open the Excel sheet and go to Review and click Unprotect Sheet; Step 9. But there is a better way. This means knowledge, because they don't use bruteforce software. The easiest way to do this is by double-clicking the Excel file; if the file opens like usual when you double-click it, the sheet is protected but the file is not. Step 2: Add your Excel file to Workbook Protection Refixer. There is an amazing macro which confuses the Visual Basic Editor into believing a valid password has been entered. Finally, click Save on the Save As window. Please use the samples files provided to test for yourself. Purchase an Excel password cracker. Now you can edit your Excel file and unlock it to reusable again. Put it in a Module and run it. It uses an algorithm to change the password, it is this which is stored within the file. However, encrypted files can be decrypted without being opened in Excel using known passwords. You could even use this as a benchmark for a new computer. The add-in does not expire. Jyoti, Thank you so much for this free software. The originally protected Excel worksheet is saved as an unprotected worksheet in the same location. Unlock and restore Excel file without password After restoring lost Excel file, you may now follow any one of the offered methods to unlock and remove the password protection from the found Excel file without a password now: Method 1. The following code can be useful for the group. 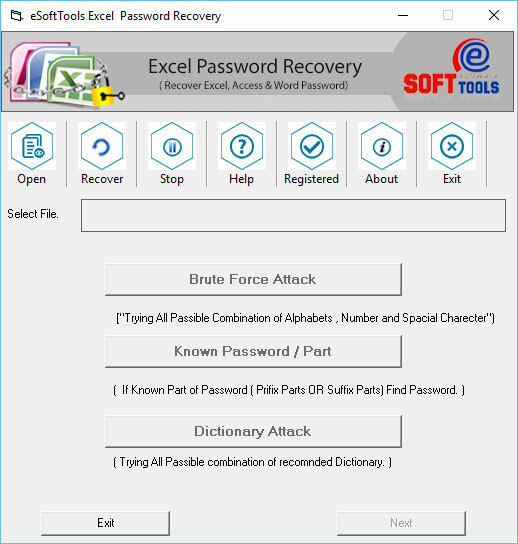 Stellar Password Recovery for Excel software recovered the password of my Excel file. This encryption significantly changes the file and the things which can be done to it. The Protect Structure window will open. It is now possible to see the. Actually, there is a great way that can help you. Firstly, make sure the file extensions are visible on your computer. We can find Bruteforce software that can break the file Excel password, but does not work with long passwords 8, 9 or more characters ; it takes too much time. Most of the time it happened that we lost or forgot our excel password when we are in certain need of that excel file. Click the link below to find it. Keep in mind the idea here is like the lock on your door at home, keep honest people honest; a determined burglar is not deterred. Remove the Modify File password The Modify File password can be removed by saving the file with a new name. File Modify passwords The File Modify password enables a workbook to be opened, but not modified until a password has been entered. In addition, the protection status of multiple closed workbooks can be analyzed using dynamic Ribbon menus. I don't even remember the password. It can easily take days, or weeks, or months. Understand the conditions under which you can do this. Is the functionality restricted in any way? Steps are shown as follows: Step 1: Open the Excel worksheet you need to unprotect. Note: The trial version is free and it only allows you to preview the features. Modern versions of Excel, such as Excel 2013 and 2016, use advanced encryption techniques which make brute-force methods used by most password crackers virtually useless due to how long the password can take to crack anywhere from weeks to years depending on the password strength. Removing each type of password Since the passwords are stored in different ways the method of removing them is also different. Then you need to get this program to crack the file open password. Keep in mind that, while removing the password from an editing-locked spreadsheet is fairly straightforward, removing the password protection from an encrypted file is impossible, and you'll need to use a paid program to guess the password—a process which can take weeks or longer to accomplish. My boss ordered me to make all Excel file password protected, and I have done it properly. The passwords, or the encrypted versions of those passwords are stored within the binary file. The highlighted section below shows where the password code is: We could edit these text files to remove this code before changing the file back to a. Select the Protection Tab, then tick or untick the locked option as required. 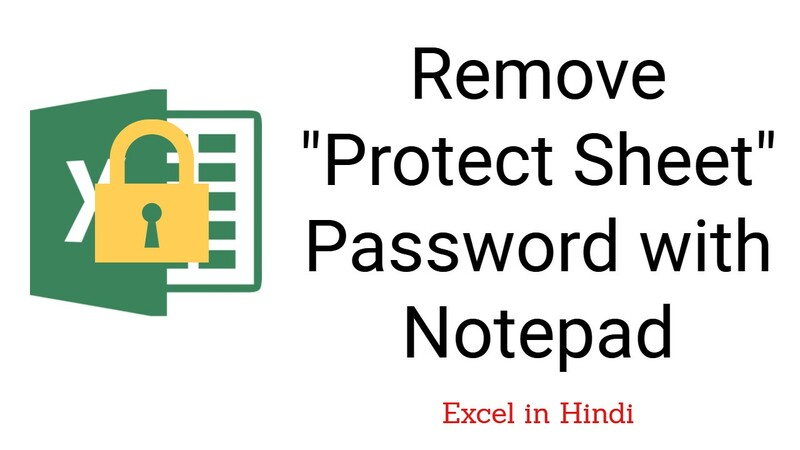 This wikiHow teaches you how to remove the password from a protected Excel spreadsheet, as well as how to attempt to find out the password for an encrypted Excel file. The macro will create a new file with the modify, workbook and worksheet passwords removed. I wonder though have never bothered to play if a recursive algorithm might be faster and more efficient? If only the Excel sheet is protected—that is, if you can open the Excel file and view its contents but not edit it—then you can use this method to remove the password protection on both Windows and Mac computers. It can recover simply too critical passwords of encrypted Excel file. Click on Insert, select Module. Double-click the Excel sheet, then edit it as needed. You open the file, only to discover that the sheets and workbook structure are password protected! Make sure your Excel file is protected.